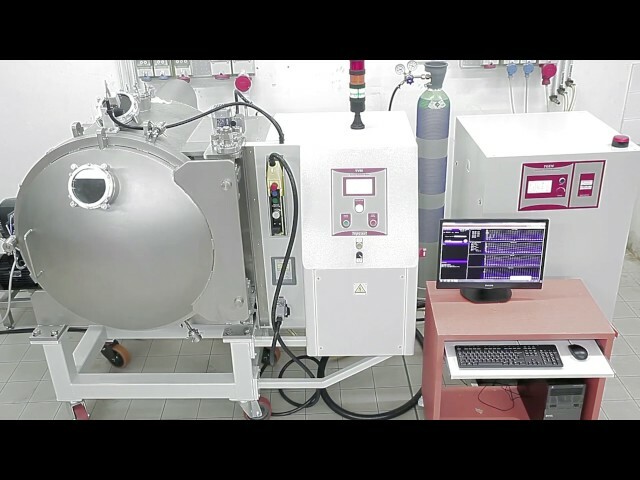 Vacuum Induction Melting (VIM) furnaces allow to obtain results unattainable by conventional furnaces, since they allow to melt and cast reactive metals such as Titanium, or special alloys like Inconel, or reduce the porosity of the semi-finished products of precious metals including PGM (Platinum Group Metals). Topcast TVM are vacuum induction melting furnaces designed for the melting of titanium, TiAl, nickel-based super alloys, stainless steel, cobalt, neodimium and more exotic alloys under vacuum conditions using electromagnetic induction as the energy source for melting the metal. The source of induction is a water-cooled copper coil which carries an alternating current. The eddy currents heat the charge to melt. TOPCAST develops this class of furnaces under customized specifications for what concerns Ti crucible capacity, mould size, vacuum level. In case you are interested in getting a quotation do not hesitate to send us your technical specifications. Inside the main chamber the induction coil wraps the crucible in which the charge is being melted. An electrical mechanism provides to tilt the crucible and pour the molten alloy in the mold. Melting under vacuum is not just about machines. For this reason TOPCAST invests in a deep and continuous research on crucible and investment materials to give to our customers always the state of the art casting solution for any alloy. our ceramic crucibles for Ti have been designed to avoid alloy contamination and to withstand the high chemical and thermal shocks involved in Ti melting. cold-crucible systems are supplied too, they have larger power requirements. Investment powder for Titanium casting are particularly designed to avoid alpha-case structure in the cast parts.